Just like today there was fierce competition between the two main 16-bit consoles, SNES and Sega Genesis, that necessitated exclusive games. Aside from the first party developed titles, third-party developers could opt to either create the same game for both consoles or create completely new ones. In the case of many Disney games, like Aladdin or The Lion King, different companies developed the game on each console but the basic concepts and level design would remain consistent regardless of which version you purchased. Konami, on the other hand, would usually make completely different exclusive titles that played to the strength of the specific console it was designed on. There was no way this developer, who was free to release games on any (and every) console not to create games for both. Castlevania: Bloodlines is a side story game, much like Rondo of Blood, that played to the audiences that came running to Sega’s edgy console. Akumajo Dracula X: Chi No Rondo is one of those games that you either know about or you don’t. As a side story to the series, appearing on the PC-Engine CD no less, I don’t think Konami ever intended the game to be popular but what it does for the Castlevania formula is worth noting. Rondo of Blood (as it is known in English) follows Richter Belmont, a descendent of Simon and Trevor, in a side story where he seeks out Dracula to recover his girlfriend Annette. It takes place in Germany, I think (I’ve never played the game in English), and the cutscenes even contain German dialogue with Japanese subtitles. Thanks to the RAM and CD format of this title, it also features amazing sound design and an anime-like style. Oh yeah, and until recently it was never released outside of Japan. It’s pretty much understood that Super Castlevania IV is merely a remake of the original Castlevania, however for many reasons it is a significant game in its own right. In Japan the game held almost the same name as the original (Akumajo Dracula) and in the lore and instruction manual in Japan it literally has the same plot. 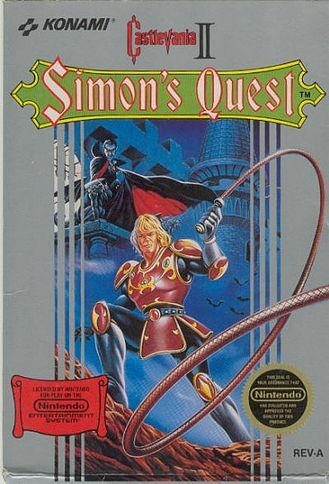 For the US release, Konami attached the “IV” as well as giving a slightly different story that suggests the events of this game take place immediately following the second game, Simon’s Quest. Even though both the developers and the fans agree it’s not a sequel, the two games have little in common with one another. While it’s a cool experiment with many gameplay characteristics, some that would never return and others became series staples, Super Castlevania IV was also a flagship title for the SNES to show off all the things the various modes (including the overhyped Mode 7) could do to a game. Think of it as a fleshed out action platformer tech demo that was far more interesting in retrospect than Pilotwings. Price (eBay): $15-$20 (used) $1125.00 (new) NOTE: This copy is revision A and thus has a lower value. This is a linear action platformer. 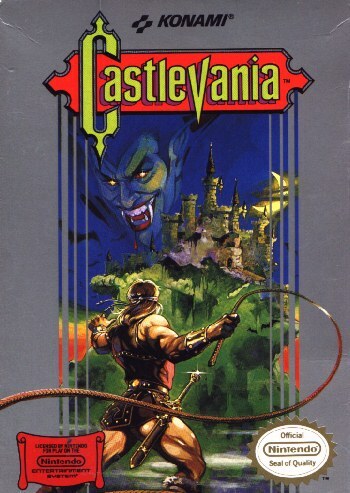 Many attribute the Castlevania series as an RPG or action RPG, whereas aside from the second title in the series, it has never really been. With no real inventory to maintain and no story elements to speak of, this original title is all about jumping and killing enemies. 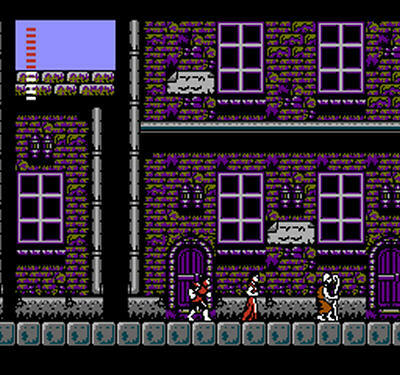 Castlevania released early in the NES life cycle and for that time seemed to be the culmination of everything you would want in a video game. Hitting store shelves early summer of 1987, most NES gamers had either just gotten or were hoping to get the console in the near future and word was getting around that this was one of the pivotal titles to play. 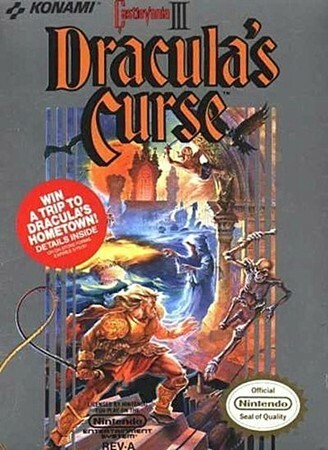 You control a hero, Simon Belmont, who has vowed to hunt Dracula in his own castle. 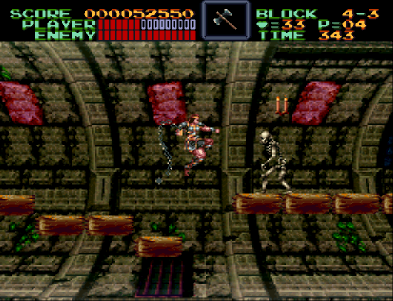 In the game you encounter all types of horror staples such as bats, zombies, and Medusa heads all while tackling large scale boss battles with famous monsters like Frankenstein, the Mummy, and even Death himself (aka: the Grim Reaper). As a young boy, this sounded like the most amazing game in the world and I was even happier to find out it delivered on all fronts. Castlevania is a difficult and wild ride through a haunted castle of horrors that holds up even today, albeit at the cost of your sanity with the Dracula battle. It was announced on June 28, 2012, that after careful consideration Activision decided to disband most of Radical Entertainment (on a recent episode of Giant Bombcast it was discussed that the rumored remaining staff was 12) and basically close the studio. Granted, although the logo may appear on future games and thus be an argument to the fact that the studio is still open, Activision states that Radical remains a support studio with no ability to develop its own games. Cynics want to blame Activision for setting inappropriate goals for the Prototype developer and we all tend to believe that the remaining Radical staff will be assigned to a Call of Duty in the future, but that’s a different discussion for a different forum. Instead, I want to touch on how Radical Entertainment came to be and the games it has contributed to the industry.